While some booster club board members are focusing on recruitment, funding requests, and fundraisers, treasurers should take a minute right now to think about tax filings. Nonprofits are required to file a tax return, even if they don’t owe any taxes. Small organizations with under $50,000 in gross receipts have to file, too. However, they can use a 990-N “postcard,” which is more simple than regular nonprofit filing. Either way, it’s time to start gathering receipts and training new volunteers on tax compliance. If booster clubs don’t file, they’ll lose their nonprofit status after three failed filing periods. Getting nonprofit status back can be a hassle. Not only that, but late filing incurs fees. I visited a booster club last spring that ended up paying over $500 in penalties for filing late. Assessed for a late filing from three years earlier, the penalties had compounded because the treasurers hadn’t communicated and the IRS didn’t have a way to contact them. The point is that disorganization can snowball into an avalanche of fees and make-up paperwork. Form 990 is due “on the 15th day of the 5th month following the end of the organization’s taxable year,” states the IRS. So, if your booster club has a fiscal year ending on December 31st, it should file by May 15th. Or, if your club ends the year at the end of the semester, say June 30th, then your form is due by November 15th. 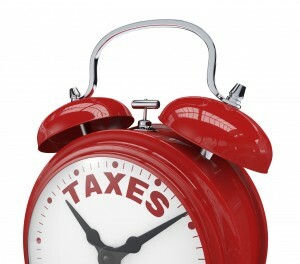 Please help me prepare a post on tax filing by sharing your booster club tax tips!